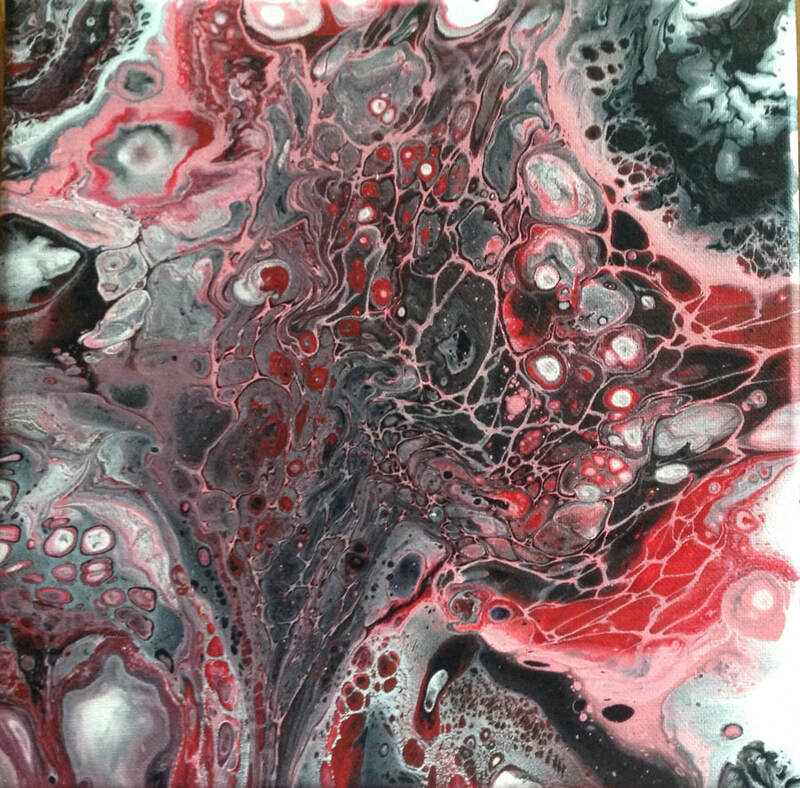 Acrylic Pour, or “Fluid Art” is a technique for all skill levels to create abstract art by using combinations of acrylic paints and other media poured out on a rigid surface, like stretched canvas or MDF board. The results are similar to Italian marbled papers. The possibilities are endless. 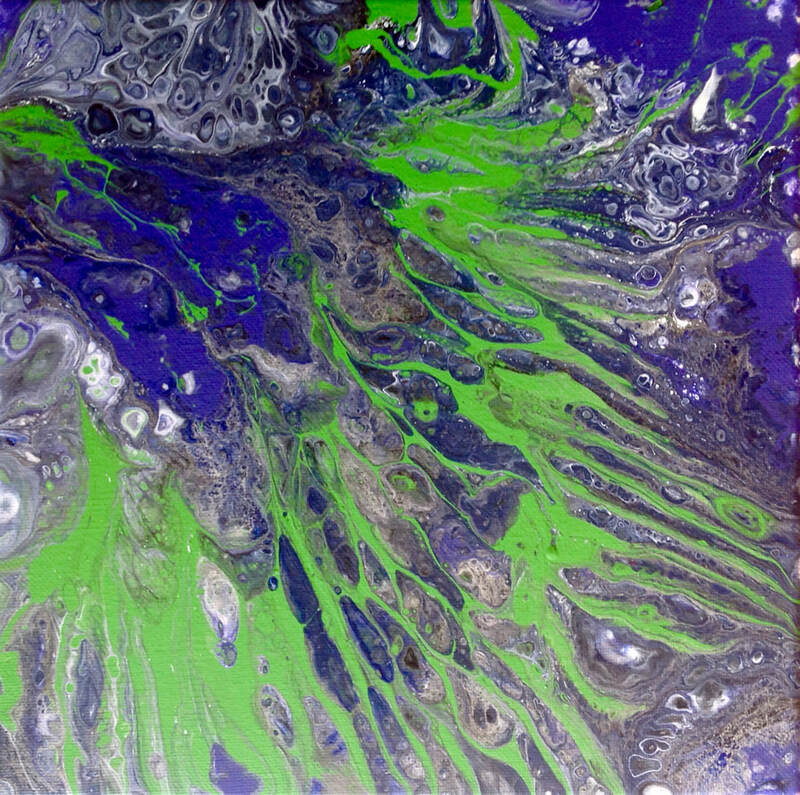 The technique can be a starting point for other art, or a destination for a decorative wall element. You don’t need to draw or paint to have fun with this process. 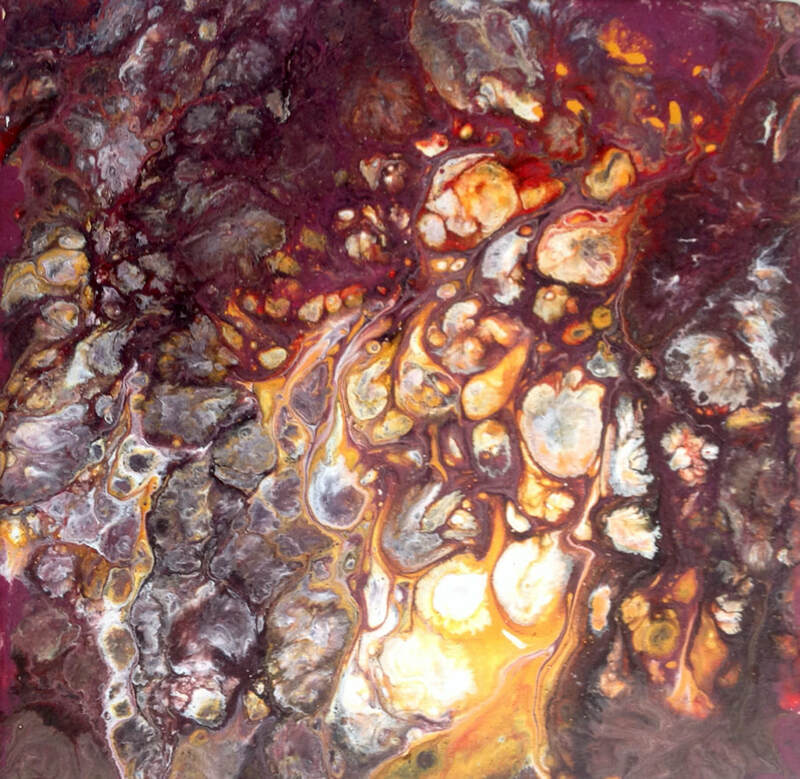 Greensburg artist Alexis Dillon will take you through the Art of the Acrylic Pour. She’ll start with a demonstration of the process, giving plenty of instruction to get you started. The creative part is up to you. We're offering 2 dates for your convenience. Make a fun morning of it on Wednesday with a friend. You're welcome bring your own Mimosas! Or make it a date night on Friday. BYOB. $35 for the workshop. All materials included. The cost is $35 for the workshop. Size is limited to 12 participants and pre-registration is required. Pre-payment is required to be considered registered and to guarantee your space. You're welcome to register a friend, but each participant must be registered separately. Please fill out the information below to register. To pay by credit card, call during regular business hours, Tues-Sat 11-5, Sun 12-4), or mail check to: Main Exhibit, 301 W Main St, Ligonier 15658.